ASUS, Verizon and Qualcomm Technologies, Inc., a subsidiary of Qualcomm Incorporated, today announced that the ASUS ZenPad Z8 tablet, a multimedia powerhouse featuring the Qualcomm® Snapdragon™ 650 hexa-core processor, is immediately available on America’s best network for pre-order exclusively at Verizon at www.verizonwireless.com/tablets/asus-zenpad-z8 and in Verizon retail stores beginning Thursday, June 23. 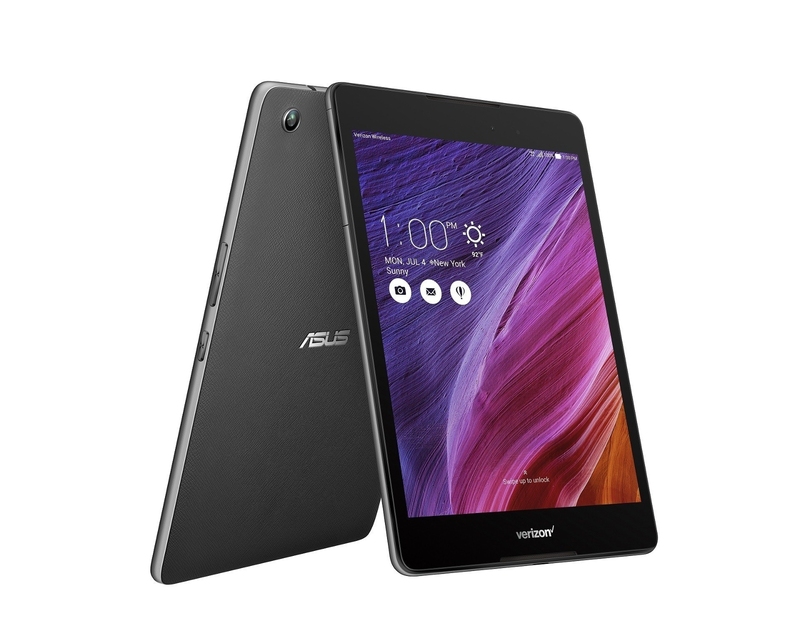 The ASUS ZenPad Z8 is sleek and luxurious, with a refined design and the latest connectivity. The ZenPad Z8 features a 2048×1536 (QXGA) resolution screen delivering stunning clarity and vivid colors with great 178 degree viewing angles. ASUS VisualMaster technology enhances and optimizes contrast, sharpness, and motion clarity depending on the situation, providing the best media viewing experience. Dual-front facing stereo speakers and DTS-HD support deliver premium audio for groups just as well as for a single person. A USB Type-C port means that there is no wrong direction to connect the cable and a micro SD slot ensures expanding the device by up to 128GB is fast and easy (card sold separately). Support for Verizon’s 4G LTE network, 802.11ac Wi-Fi, and Bluetooth makes for a seamless network experience with a wide range of supported peripherals. The ZenPad Z8 is the ultimate entertainment device for watching movies, TV shows, and sports, listening to music and playing the latest mobile games. Because the ASUS ZenPad Z8 runs on Verizon, you can make the most out of your tablet with Verizon’s 4G LTE network. The network was ranked “Highest Wireless Network Quality Performance across All Six Regions” by J.D. Power for the third time and number one by RootMetrics* for overall network performance across the United States for the past five consecutive testing periods. You’ll have a great experience, thanks to the speed, reliability and responsiveness of Verizon’s 4G LTE network. Enabled by the speedy and efficient Snapdragon 650 hexa-core 64-bit processor, the thin and lightweight ASUS ZenPad Z8 is built for rich and immersive multimedia experiences. The Snapdragon 650 processor supports high-quality, efficient performance, multimedia, gaming and connectivity, due to its powerful 64-bit CPUs, integrated X8 LTE modem and Qualcomm® Adreno™ 510 GPU. Preorder your ASUS ZenPad Z8 today at www.verizonwireless.com/tablets/asus-zenpad-z8 and get it when it launches on June 23. The ASUS ZenPad Z8 is available on device payment for less than $11 per month for 24 months (0% APR; full price $249.99). * Ranking based on the RootMetrics® US National RootScore® Report: 2H 2015. Tested with best commercially available smartphones on 4 national mobile networks across all available network types. Your experiences may vary. The RootMetrics award is not an endorsement of Verizon. Visit www.rootmetrics.com for more details.